Matt Baker, John Craven and Margherita Taylor mark the 70th anniversary of the creation of our national parks. This programme marks the 70th anniversary of the creation of our national parks. Matt will be looking at the history of their formation, and he’ll be joining a diverse group of walkers recreating historic photographs from the mass trespasses of the 1930s. John is exploring the industrial history of Rosedale on the North York moors and meeting the modern day glassmakers following in the footsteps of 16th-century Huguenot artisans. Charlotte is in the New Forest looking at the pressures on the park caused by its proximity to big urban centres. Sean is in Pembrokeshire finding out how park authorities have engaged walkers in a citizen science project to record coastal erosion on their smartphones. Margherita is on Exmoor telling the story of long-forgotten 19th-century landscape visionary John Knight, who planned his own embryonic 'national park' back in the 1820s, and Adam is in the Trossachs finding out about the challenges of farming in a national park. 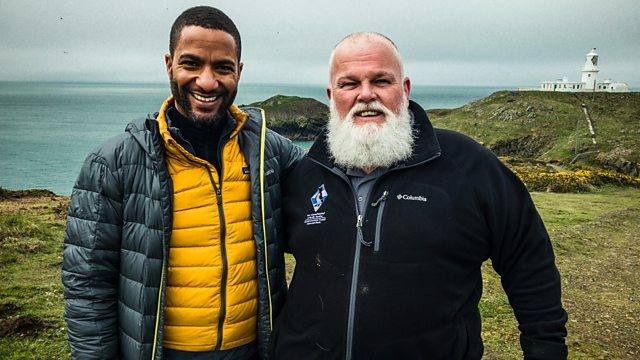 Matt visits the UK’s first designated National Park, the Peak District, to take part in a celebratory trek with around 200 local people from all walks of life and varying abilities. He hears stories from the people who get the most out of the park and hear what it means to them. As the walk winds its way to Hollins Cross, Matt sees the highest part of the park, Kinder Scout and learns how the national parks came to be. John visits the North York Moors to find out the history of its industrial heritage. One hundred and fifty years ago, many parts of the moors were filled with fire, smoke and noise as a short but intense period of ironstone mining and railway construction helped fuel the industrial revolution. But John hears how manufacturing on the moors dates back even further: French Huguenots were illegally making glass here in the 15th Century. Today, the landscape still nurtures glassmakers and artists alike - Stephen Gillies and Kate Jones have been making exceptional contemporary blown glass together for more than 20 years. National parks often seem remote and distant landscapes but access for all is at their heart.Those parks that have succeeded in attracting the most visitors now face a new challenge - how best to protect their wildlife and habitats.Charlotte visits the New Forest were visitor numbers have surged to a park which can boast the highest percentage of environmentally protected areas on its land.And she sees how those managing the South Downs National Park deal with the large urban communities next to - and within - its borders. Pembrokeshire is Britain’s only coastal national park and that brings its own particular challenges. Sean walks some of the wild coastline and sees how both high and low-tech schemes are benefiting wildlife and keeping coastal erosion in check. This is a tale of a man, long forgotten, who had a vision for an embryonic national park of his own - more than 150 years before Exmoor National Park came into being. Margherita tells the extraordinary tale of John Knight: a visionary and romantic who set out to transform Exmoor from a barren and lawless area of moorland to his own version of paradise.